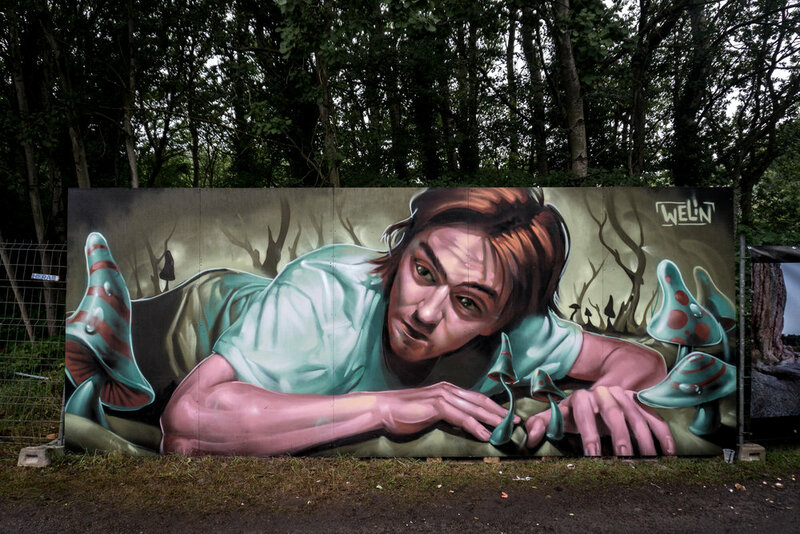 The young Danish street artist Welin has a great passion for graffiti and street art, which started in 2011. Today he specializes in unique wall decorations at large scales. Welin is inspired by current topics in society and often takes a humoristic angle towards these topics. By mixing graffiti with traditional art he achieves a different and unique form of expression. His works often have a three-dimensional depth and soft expression from a distance, but when looking closer his raw style becomes apparent.